A seasonal beginner’s read-Discover Thanksgiving by O’Neill – Joyce's mystery and fiction book reviews with some non-fiction too! This is a level 2 reader with a simple vocabulary and short sentences, appropriate for those who are mastering their reading skills. The book is illustrated with photographs of families enjoying the holiday. 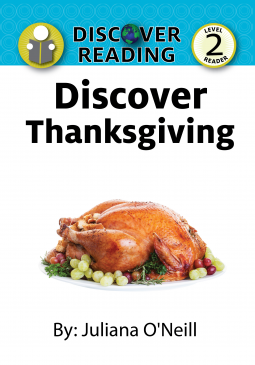 The text explains the origin of Thanksgiving and many of the holiday’s rituals and customs. This book will help newcomers to the U.S. to learn more about an iconic holiday, while those who already celebrate, will be reminded of why they do so and what they most enjoy about the day. Thanks to NetGalley and the publisher for this seasonal read.